We have an important tip for you: You should delete Pro Search Tip. This Google Chrome extension is presented as this amazing tool; however, it cannot live up to your expectations, and that is because it is completely useless. Yes, it can show search results, but even those cannot be trusted. Hopefully, you have not installed the strange Pro Search Tip extension onto your web browser yet, but if you have done this already, we recommend removing it without any hesitation. If you decide to do the opposite – which is to trust and use the tool – you will be putting your own virtual security at risk, and we are sure that is not what you want. In case you do not understand the security risks linked to using seemingly harmless extensions, this article is for you. Please read carefully, and do not forget to use the comments section if you want to ask us questions and continue the discussion. Do you know what a PUP is? That stands for “potentially unwanted program,” and it is the kind of program that is either useless or unreliable (or both). While Pro Search Tip is not entirely useless because it can help you browse the web, the trustworthiness of the service is a different topic. On top of that, the service that is offered is not that exclusive, and you can create a much better web browsing experience for yourself by setting up the right homepage and default search provider settings. That is because Pro Search Tip redirects to Google Search. You can easily set this search tool as your default search provider, and you certainly DO NOT need a middle man, which the PUP acts as. In fact, if you are ever redirected to a third-party search engine via a different page, you need to be worried; especially if that is also done without your permission. So, what is the reason for worrying? In many cases, users are shown modified and unreliable search results when they are redirected, and that is exactly the case with this potentially unwanted program too. Pro Search Tip is introduced to Chrome users at prosearchtip.com and the Chrome web store, at chrome.google.com/webstore/detail/pro-search-tip/hngffaakockchcnjcpckbknpipmbdpfe. According to the official information that the developer of the PUP introduces you to, the extension can offer a great service, but we already know that it cannot because once you are redirected to Google Search, the results are modified, and who knows what kind of content you might be shown. Search.prosearchtip.com might seem like a harmless search tool, but it is not. And that is not all. Our research team also warns that data could be recorded when you use this potentially unwanted program and its search tool. Needless to say, if you do not find the idea of having information about you collected and, most likely, shared with unknown parties amusing, you will want to delete the PUP as quickly as possible. 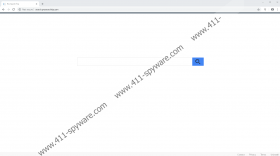 Do you know how to remove Pro Search Tip from your Google Chrome browser manually? Do not worry if you do not, because we have a full manual removal guide that will guide you all the way through. As you can see, there aren’t many steps, and half of them are dedicated to showing how to clear browsing data. What does that have to do with the PUP? Well, since it can record information, it must be using tracking cookies, and some of them might be persistent cookies. You want to get rid of them too, and while you are at it, we suggest clearing cache, browsing/download history, autofill data, and other browsing-related data. If you have never done this before, it might be time to clear everything out, but keep in mind that the browser will forget all of your passwords too. Manual removal, of course, is not your only – or even best – option. We advise using anti-malware software. Although Pro Search Tip is not malware per se, it is a PUP that should be eliminated. Also, it could have been downloaded along with more serious threats that you cannot ignore. Open the browser and enter chrome://extensions/ into the address bar. Choose the time range and boxes you want to clear and click Clear data.